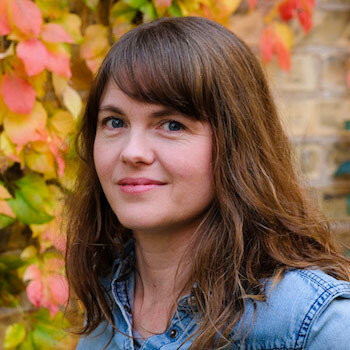 Waterloo – Emily Urquhart, Wilfrid Laurier University’s Edna Staebler writer-in-residence for winter 2018, will launch her 10-week residency with a public talk and reception on Tuesday, Jan. 23, on Laurier’s Waterloo campus. Urquhart, an award-winning writer of creative non-fiction and narrative journalism, will give a talk entitled “True Stories: Narrative Non-Fiction from Cave Painting to Podcasting.” Drawing from history, folklore, and the experience of writing, reading and listening to true stories, this talk will celebrate all forms of narrative non-fiction. The event will also offer information about what Urquhart will offer the Laurier community as a mentor and teacher in forms that include creative non-fiction, fiction, poetry and podcasting. Laurier community members will be able to correspond with Urquhart for help with their own creative projects. Urquhart will be at Laurier from Jan. 15 to Mar. 23, including a week on Laurier’s Brantford campus from Mar. 5 to 9. Her office hours, which will be held in the Dr. Alvin Woods Building (DAWB) 2-138, beginning Jan. 17, will be Mondays and Wednesdays from 2-4 p.m. or by appointment. To make an appointment, contact eurquhart@wlu.ca or 519-884-0710, ext. 3869.